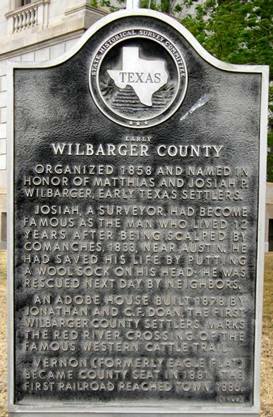 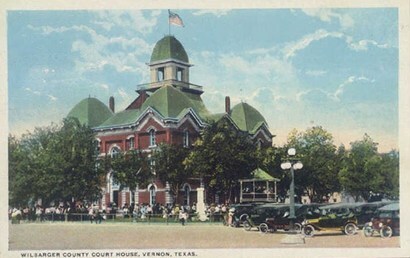 Wilbarger County Courthouse, Vernon, Texas. 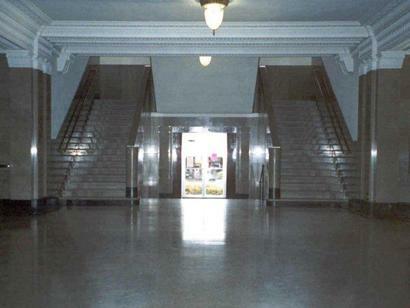 1883, 1890 and the present 1928 building. 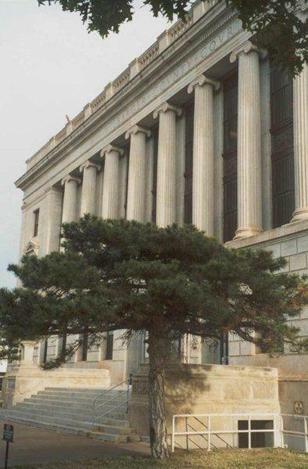 SE corner of the courthouse in the early morning light. 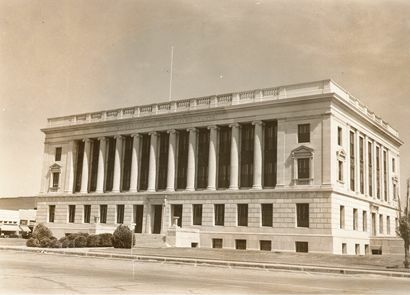 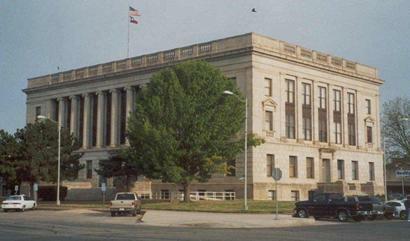 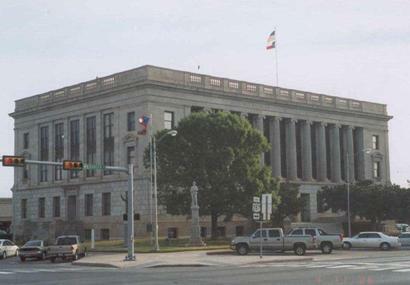 "The 1928 Wilbarger County courthouse was one the earliest Texas courthouses designed by the architectural firm of Voelcker and Dixon, whose designs would soon be influenced by the Art-Deco/Art-Moderne style architecture of the 1930s which became prevalent in their later courthouses. 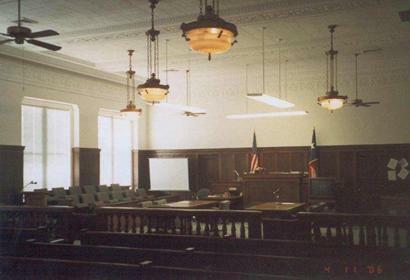 The handsome district courtroom, complete with wooden wainscoting and decorated ceiling. 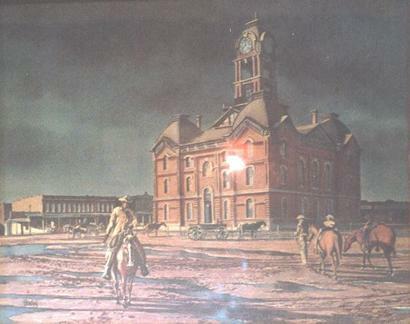 Oil painting of the 1890 Wilbarger County courthouse hanging on the wall in the front lobby of the current courthouse.